There will be times in your life when you have to choose between being loved and being respected. Always pick being respected. 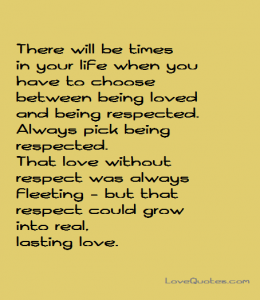 That love without respect was always fleeting - but that respect could grow into real, lasting love.